Ayurveda in Goa is a huge part of why so many people travel to Goa. Ayurveda has it's traditions deep in Indian culture, specifically to the 'veda' period. It consists of various methods of body control including breathing and meditation with vast reflections on the body and soul. The connection of Ayurveda and Yoga are pretty similar and ave their origins in roughly the same place although obvious variations have occurred over the thousands of years these fine arts have been around. However, despite their differences ayurveda and Yoga both have the same aims - to bring together or cross the gap between the soul the body and the infinite universe/spirit. Those of you who have studied ayurveda will know the magic it can work. Goa is one of the Indian hotspots for Ayurveda, at least it is the place where it is so readily available for the many visitors this region receives. Ayurveda in Goa and all around India is used for promoting goo health both spiritually and physically. It does this by means of delicate practices concentrating specifically around the gentle rules of nature and and the modern inability of being unable of knowing our true selves. 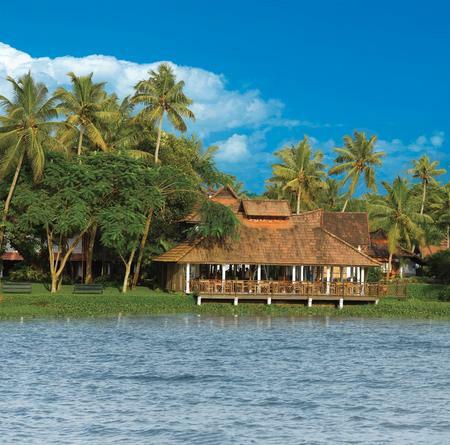 There are a host of Ayurveda resorts in India, most of which are accredited with qualified ayurveda specialists. The prices vary but generally the quality of the treatment you will receive will be the same. Poor Ayurveda resorts go out of business fairly quickly. Enjoy these pictures of Ayurvedic treatment and get some inspiration to start planning you trip!